Last week I posted on my Twitter that I was thinking about doing a Q&A blog and for folks to ask whatever questions they may have for me. I got an assortment of inquiries so wanted to get started on them! Crystal (@CrystalDuff) asked: "How did you get into running? How often do Ryan and you run together? Have you ever used a coach? What's your fave race distance?" Ryan and I try to run together at least once a week. Currently I am a housewife (and LOVE it), so I do most of my training during the day while he is at work. We normally try to get in a run together on Sundays (SundayRunday - DUH). We have done quite a few races together - which are always a blast. He enjoys the 5K and 10K distance, but I have actually got him to run a couple half marathons with me as well (his first being the 2013 Disneyland Half Marathon). I have never used a "coach" per say. My previous boss was a triathlete that often won his age group/ division, so he had a lot of great pointers for me when I was getting started (he helped put together training schedules, set up my strength training regimen, and even gave alternatives when my IT band started flaring up from the pavement pounding). I have thought about using a coach in the future, but haven't made the commitment yet. My favorite race distance is the half marathon. The training for it is a lot more manageable and you still feel like you are accomplishing a lot when you finish. Shoot, 13 miles isn't half of anything! Since 2012, when I started running, I have done nine half marathons - with another four on my calendar so far for the rest of 2014. Krissy (@krissymmurphy) asked: "What brought you to California?" A: During my junior and senior year at the University of Michigan I had the privilege of being a Resident Advisor (RA). RAs are often clumped under the "Housing" department at most schools. During my senior year I was told about an opportunity that you could apply for which allowed you to go to another university for a few months during the summer and intern in their housing department - in hopes that you would enjoy it and make it into a career. I applied and was accepted at the University of San Diego. Four days after graduating, I packed up my belongings in two suitcases and moved across country knowing NO ONE and with nothing more than a summer job. I figured I would use the summer to see if I liked it and if so, look for some way to make it permanent. As you can imagine, I haven't looked back since. I mean, what's not to love?! So after my summer internship completed I found a job in the payroll department of a construction company and was there until Ryan and I got married a few years later (and I moved up from San Diego to Oceanside so we were closer to his job). I knew if I didn't leave Michigan right away, I probably never would. I can always go back, but I realized that once I got settled into a routine it would be extremely difficult to leave, so I rolled the dice and have been BEYOND BLESSED with the results. John (@RipCurlRunner) asked: "Do you feel that runners who call themselves marathons are trying to separate themselves from the rest? We all "run". :)"
A: This is a toughy. If you would have asked me this 6 months ago you probably would have gotten a resounding "YES - how elitist of them...", but now my answer doesn't come so easily. As I am sure you are all aware (since I never shut up about it, hehe), I am currently training for my first full marathon - the Surfer's Path Marathon in Santa Cruz, CA. I think, now knowing the training and preparation that needs to go into getting ready for a full marathon, they are just trying to quantify the type of runner they are - while realizing that they are first and foremost a runner. Shoot, I try to celebrate every achievement I conquer, no matter how small it may seem - as you can see from my posts on my 15 mile run, 17-miler, 18 mile run, and most recently 19-miler. You better believe I am going to scream LOUD AND PROUD that I am a marathoner once I cross that finish line 33 days! I don't think the purpose of someone saying they are a "marathoner" is to make anyone else feel "less than" or bad about the distance that they complete, I think it is just to rejoice in what they have accomplished and tell others about what they have been able to do. And just remember, if you run (no matter if it is a 5-minute mile or a 15-minute mile) WE ARE ALL RUNNERS! If you want to join in the fun and ask a question, feel free to post it in the comments, send it through Twitter, post it on my Facebook page, or shoot me an email. 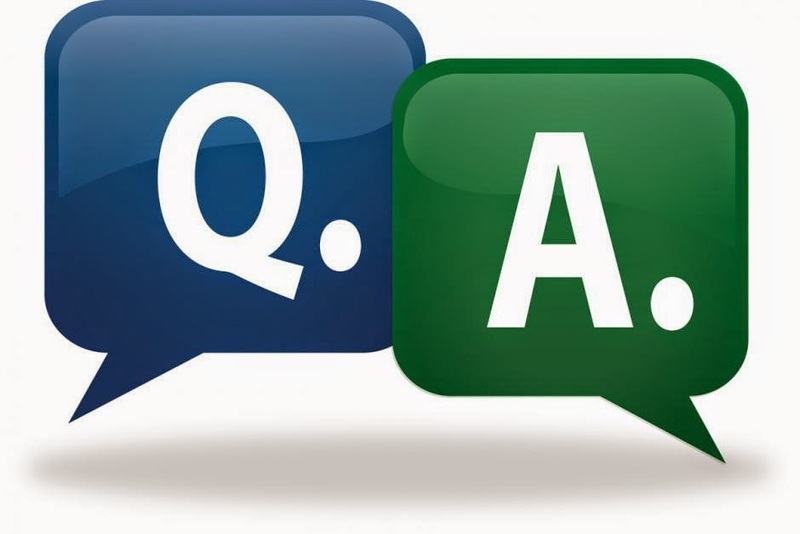 I found this little Q&A session fun (hopefully you did too), so if I get more questions in the future I'll be sure to do another post like it. PS Thanks to Crystal, Krissy, and John for supply the first round of Q's! Awesome, Carlee! You're such an inspiration!